Widely known as the technology underpinning the digital currency Bitcoin, blockchain is quickly becoming the emerging disruptive technology across numerous industries. Today over 40 of the largest financial institutions in the world are leveraging blockchain technology for securing transactions. Our speaker, Arnold Spencer, is the General Counsel for the largest retail distributor of Bitcoin in the United States. Responsible for all legal and compliance matters issues. Created and oversees proprietary anti-money laundering policies and procedures for peer-to-peer virtual currency transactions. Prior to joining Coinsource, Mr. Spencer was the Assistant District Attorney in the U.S. Department of Justice and partner at several prestigious law firms, including Haynes and Boone and Akin Gump Strauss Hauer & Feld. We will have complimentary wine and cheese along with plenty of time for networking. Join your friends and fellow alumni as we learn about this exciting topic! This event will sell out, so you will want to purchase your tickets NOW! 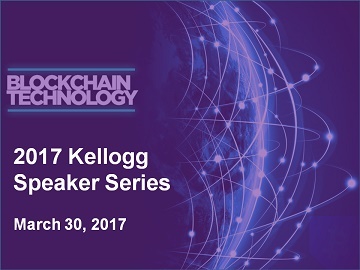 For further details and RSVP, visit: https://www.eventbrite.com/e/blockchain-opportunities-beyond-bitcoin-tickets-31559348862?ref=estw.